The XPS? is an international AC Power Supply that will run a Lumedyne flash system. It has enough power for running modeling lights even with multiple Flash Heads and can make the flash system run continuously from AC power without using any battery power at all. You select the AC power cord from the drop down box. We have the default selection as the USA cable version (the XPS”U”) but if you prefer an AC cable for the UK, European cable or one for down under, then select that cable version before you "buy" it. 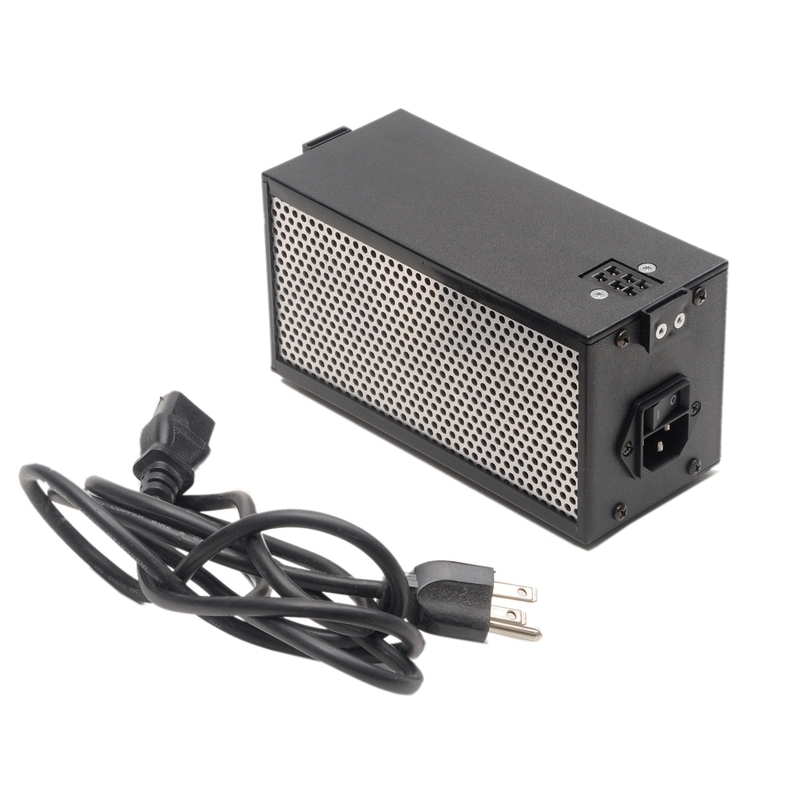 This super small AC Power Supply is a great alternative to a Battery when you have AC power available. The Pack can securely fasten to it directly or with additional Boosters up to 2400ws and with or without the additional High Speed Modules. The base is the same size as the profile of the Packs. The input current varies with the load that you put on it and the CE/UL approved power supply is self regulated and safety protected and ready to run from any power level. In a maximum case scenario, it could draw up to 3 Amps during recycling at 120 volts AC. All of the protection inside is automatic and will even reset automatically if you could trip the circuit breaker. Although the included AC cable is only five feet long, low power drain allows you to use long extension cables when desired. It can supply up to 30 Amps for the Power Pack and has the same kind of six pin connections as most Batteries. You can use Boosters to go up to High Power and you can recycle up to the 30 amp limit. That recycle speed limit is either an Extra Fast Pack or the old "Z" Pack or the slower Power Packs with one of the slower High Speed Modules. If you try to recycle too quickly from the Power Supply, the XPS? just won't get faster than it’s able to handle. If you want to recycle Extra Fast, or have an extra charger, or if you use a lot of Modeling Heads, then maybe the larger 60 Amp AC Power Base, XACU might be right for you?